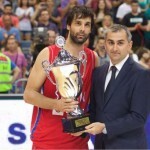 The Trophy of Belgrade 2017 winner was known last Sunday after Serbian national team defeated neighbour Montenegro to secure the third win in a row and got extra motivated for furthure preparation tournaments. Although not all of the teams participated could get the trophy, surely they Have managed to get the clear picture of themself and upgrade the things that maybe not been working so well on the court. That is exactly what warming up games are for, and therefore, coaches are trying to mix and fix it all up. Fix it, as not all of the teams are complete yet. Some of the players, as Giannis Antetokounmpo skipped the second game of the tournament. The NBA all-star player couldn’t help his teammates as he complained to the coach about the pain felt. Not only that (he missed the second game of the Belgrade tournament), but also he is not going to be available for the upcoming games as he is joining his NBA squad on China tour. His brother, new Panathinaikos signee, only played in the 1st tournament day, so, same as Giannis, didn’t play against Serbia. After the game, the captain of the team and already the veteran Georgios Printezis, wasn’t trying to escape with the debacle, but as always, in good mood to talk to the journalists and reporters. He looked back at the game, stressing up the benefits and advantages of the winner, Serbian team, but also spotted his teammates and big expetations at the upcoming Eurobasket. Greek Federation will start in Finland, Helsinki. “Serbia has an amazing team. They have great players. They are together for a while and that is very important in order to complete the goal as everybody knows exactly what one should be doing on the court. 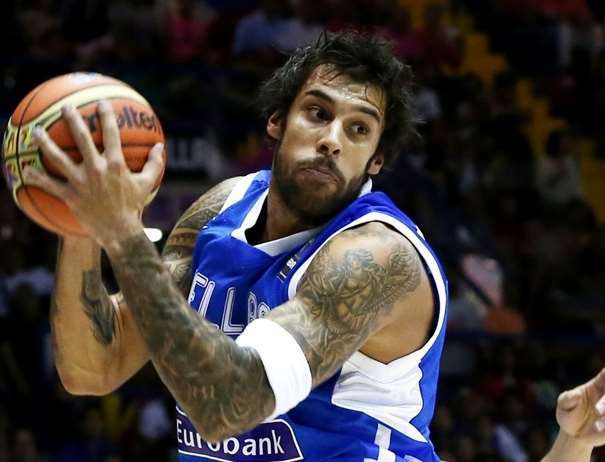 They know each other well, they know what is their job to be done“, Printezis said, who prolonged his contract with Olympiacos for 3 more years, likely to end up a career exactly where he started it. 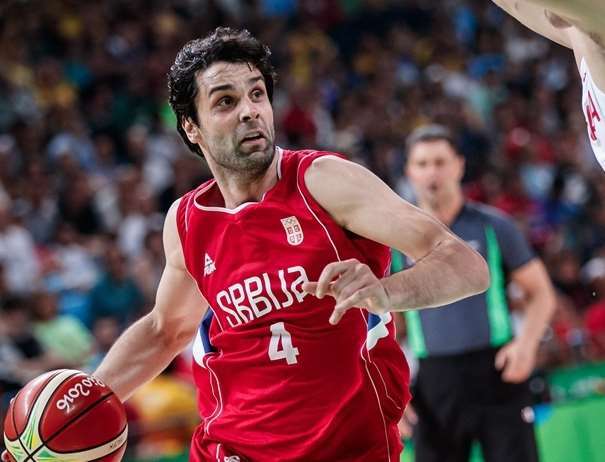 “I see Serbia as one of the major candidates for the Eurobasket medals. I wish them the best luck, but I wish the best luck to my team, team of Greece, as well!“. He mentioned one more time how much the missing star Giannis Antetokounmpo means to the team, and sure he will help them a lot once he joins. The Greeks made their way to Great Britain weakened, as exactly Georgios Printezis, Ioannis Papapetrou and Ioannis Bourousis are out up to the stomach problems. The trio were hospitalized the night before the flight and is expected to recover and join the team for the next tournament, at home. 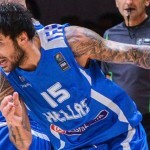 Acropolis Tournament will be placed in Athens, OAKA (O.A.C.A. Olympic Indoor Hall, Nikos Galis Olympic Indoor Hall) from August 23th to August 25th. Beside the host Greece, Serbian, Italian, and team of Georgia will participate. In Serbia, the situation is not clear yet, as Miroslav Raduljica, the first big man of the team, is out due to a knee injury and will have to go under surgery. Marko Simonovic also is not available. The big question mark coach Djordjevic still has when it comes to Malaga player Nemanja Nedovic, who started with easy individual practices, but the captain, the new NBA memeber Milos Teodosic still feels the pain in his leg. The tournament in Athens, the capital of Greece, will be the last test for the teams before the Eurobasket 2017.